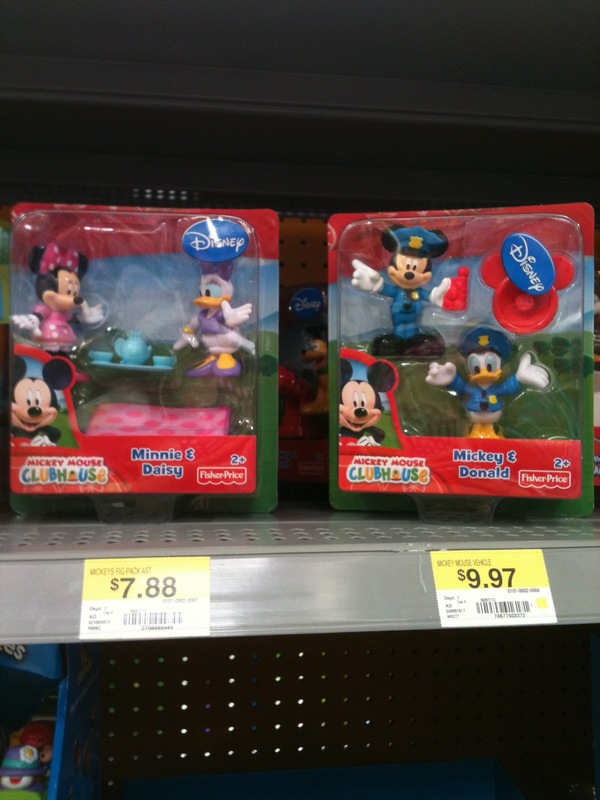 I kind of dislike Wal-Mart. I'm just more of a Target girl. 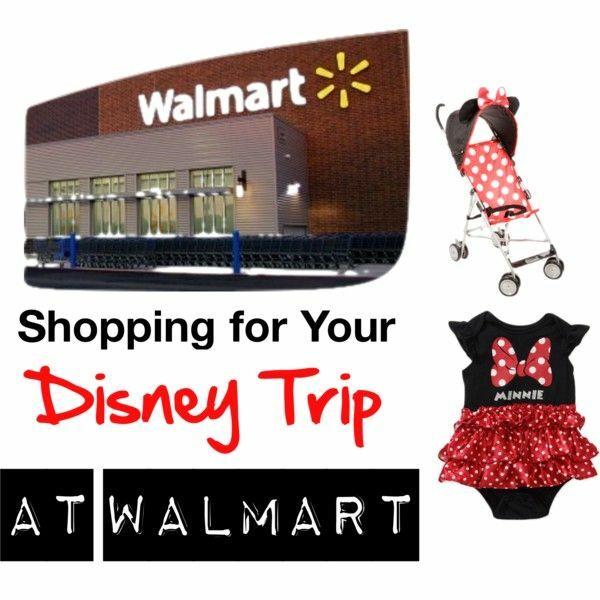 But I can't deny that Wal-Mart has some great things in-store and online right now that will make your Disney trip extra special (and save you major money by buying it before your trip and bringing it with you. 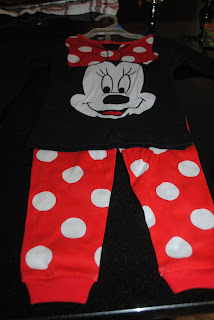 I picked up these Minnie pajamas for Sally for $5.97. 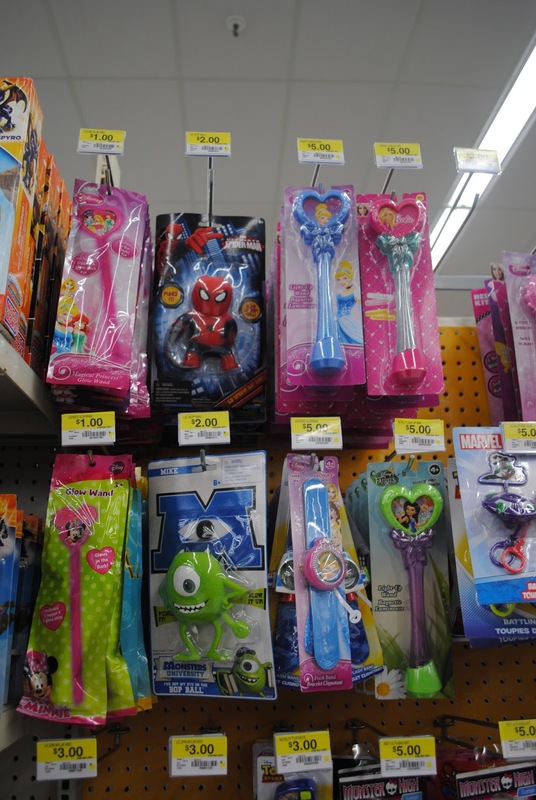 In the toy section I saw some things that you little ones will LOVE...Minnie glow sticks, light sticks and spinning light sticks. 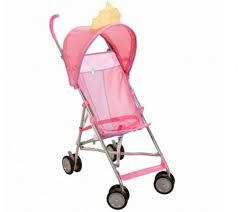 PLEASE buy these and bring them on your trip. You will save so much money not buying them in the parks. They were all under $5. 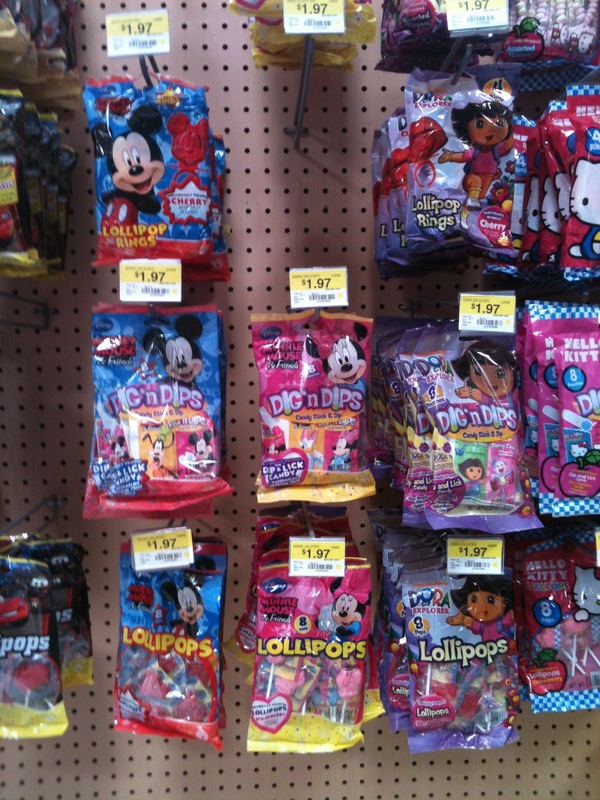 In the grocery section, they have several option in the Disney fruit snack section. Perfect snack for waiting in line at the parks. 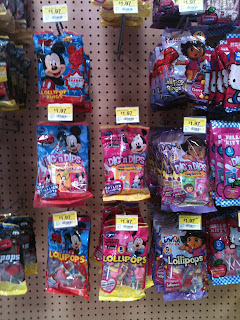 In the party section, I saw some really cute Minnie/Mickey suckers. 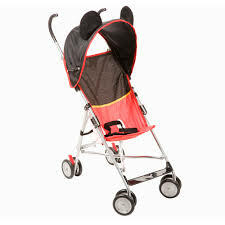 These would be great for keeping kids from getting fussy on the plane, waiting in the airport or waiting in lines. 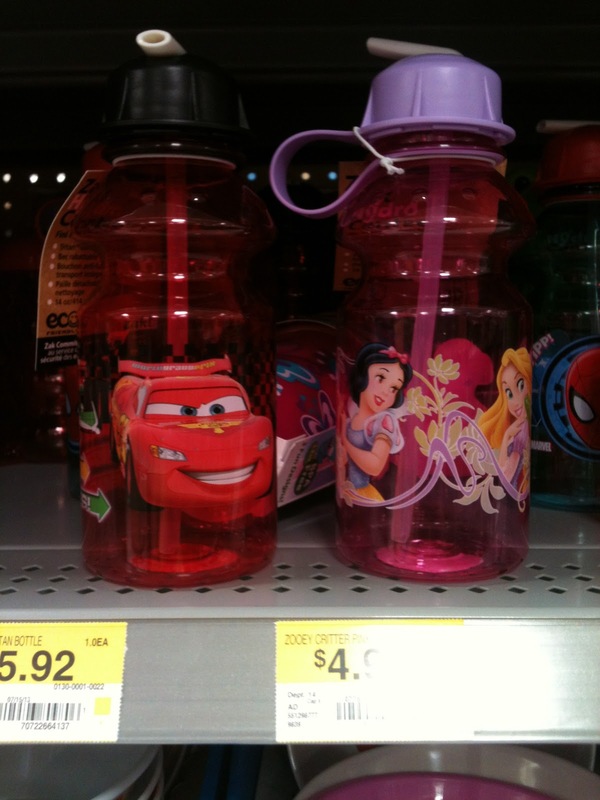 Disney water bottles. Fill them up in your hotel room before leaving for the parks and sip on them all day. Much cheaper than buying a bunch of bottled water at the park. 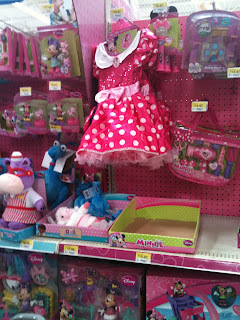 LOTS of Disney toys in the toy section. Maybe you need a little something for your child to play with in the car or on the plane. 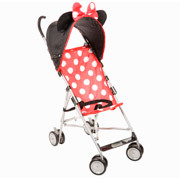 Maybe you want to wrap it up and give it to your child from "Mickey and Minnie". 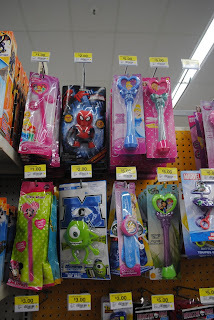 I think it would be so fun to give them a little gift each day of the trip. Bath squirters for the hotel bath and pool. 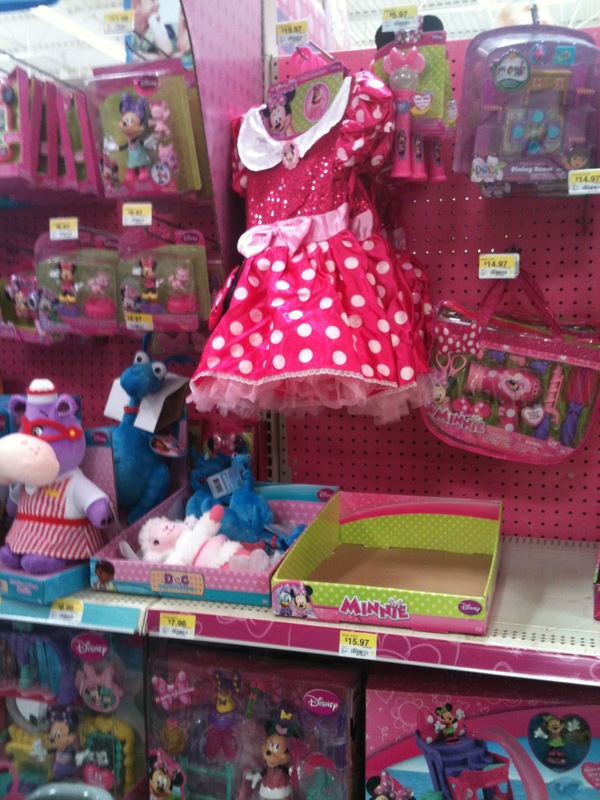 I got Sally a Minnie one and she LOVES it!